The EU drugs agency (EMCDDA) and the University Institute of Lisbon (ISCTE-IUL) will be strengthening their cooperation in future thanks to a new Memorandum of Understanding (MoU) signed between the two bodies today in Lisbon. 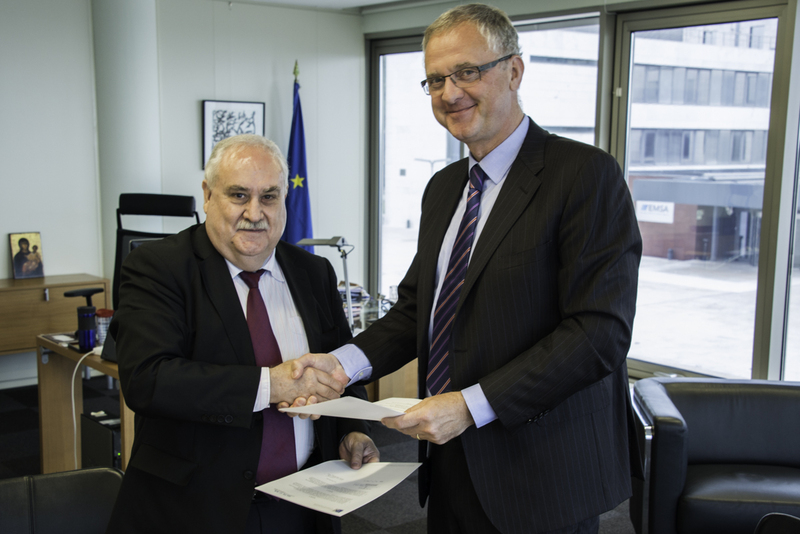 The signatories were Rector of ISCTE-IUL Professor Luís Antero Reto and EMCDDA Director Alexis Goosdeel. The EMCDDA and ISCTE-IUL signed their first MoU in 2011, ahead of the first European Drugs Summer School (EDSS) organised by the two partners in 2012. The organisations are currently preparing the sixth EDSS, to take place in Lisbon from 26 June to 7 July (1). enhance the scientific, technical and human capacity and potential of the two organisations. (for teaching and research purposes); the exchange of information, knowledge and expertise in areas of common interest; collaborative research, lectures, symposia and similar activities; joint academic programmes (including summer schools) and trainee exchanges. The 2017 MoU is in line with the recently published EMCDDA Strategy 2025, which states that the EMCDDA’s partnerships with universities, research centres and scientific bodies, among others, allow the agency to maintain a close and ongoing understanding of developments in the research area (2). Such partnerships to date have also supported the development of European and international standards and have facilitated the reporting and interpretation of European data at international level.